Some people dabble in the art of shimmer and shine. Others bask in its glory. If you’re a member of the second party, do not forget to bring your shine to your lighting game. Lighting plans should include lighting fixtures of various lights and textures. Do you have hanging pendant lighting covered? And, is your shine coming through in your interior design? If you answered no to either of these questions, consider the Helaine 6 Light Pendant Lighting Fixture by Lite Source. 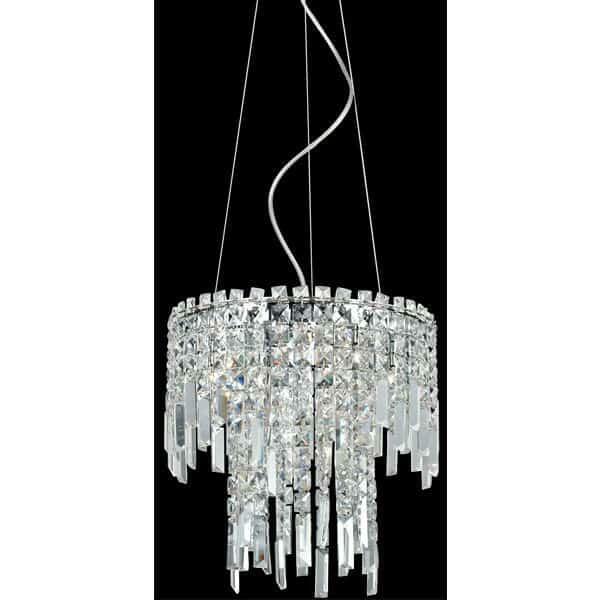 It’s one in a huge line of Helaine lighting solutions that take crystal to another level. A panel of prism crystals forms a curtain of crystal. The metal chrome frame is enveloped in the crystals, which shoot light and shine in every direction. The curtain flows down into a unique arrangement of full cut clear crystal droplets. Chances are, your rusty old lighting fixtures need a makeover. Be on the forefront of the chandelier revolution.